Top Nigerian celebrities Tuface, his wife Annie Idibia, Tonto Dikeh, Segun Arinze, Francis Duru and Angela Okorie were all present at the opening ceremony of Las Vegas Executive Lounge in Abuja on friday, October 27. 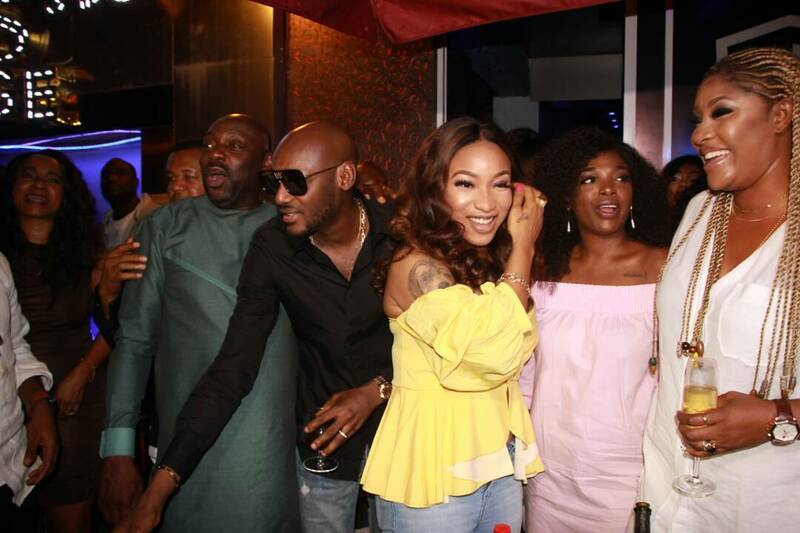 "@lasvegasabuja opening with @2baba_official @tontolet @annieidibia1 @realangelaokorie @francis.duru What a night!! My outfit by @agathamoreno 😎😎👍👍Pix by @prettyrity"